Rubik stool height 750mm ideal for bar counters. 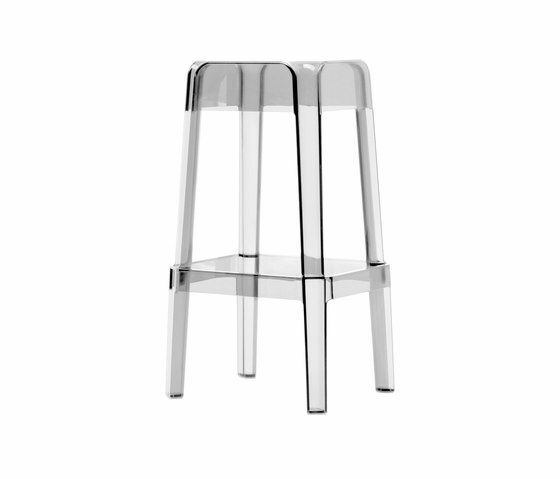 Rubik stool in polycarbonate, unbreakable, elegant and lightweight at the same time. Available in six colours: full colour black and white shiny finish, transparent, violet, red, smoky. Stackable, Rubik is available in 3 different heights for both contract and residential locations. Prestigious is Soft version.